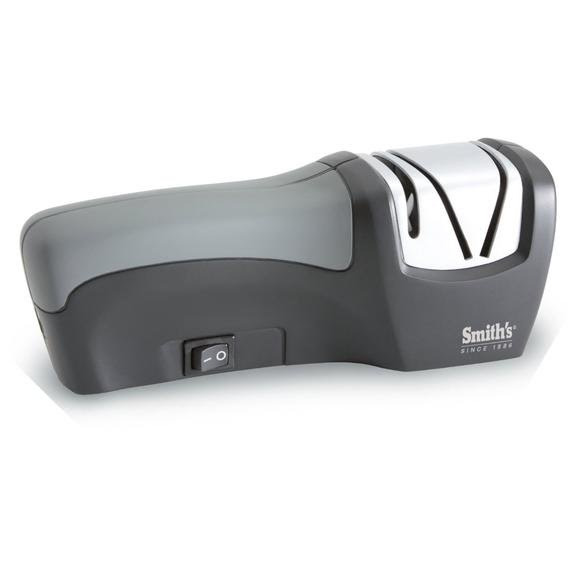 Keep your knives sharp with help from the Edge Pro Compact Electric Knife Sharpener from Smith's Abrasives. This ultra durable sharpener sharpens has both manual and mechanical elements. This unique combination provides a broad capability to easily sharpen dull blades and maintain razor sharp edges.